Properties in Flat Point average 4.5 out of 5 stars. 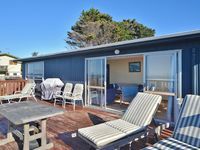 A Real True Kiwi Bach Right On The Beach! 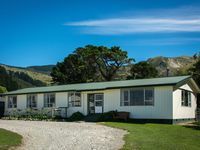 Property 8: A Real True Kiwi Bach Right On The Beach! We really enjoyed this sunny beachfront beach. Awesome decks! So calm and peaceful. Loved the lack of reception as well. It was just a beautiful escape by the beach and Bush.